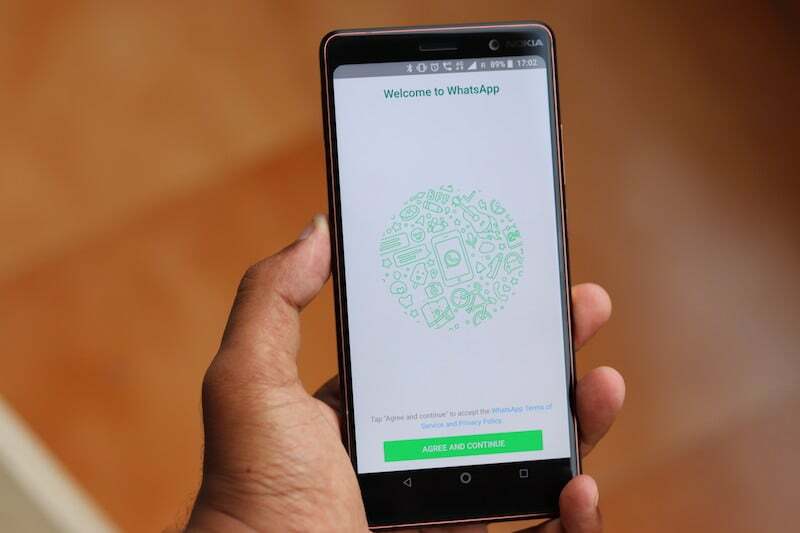 It has been common knowledge that the media WhatsApp users receive over the application is automatically synced in the gallery of the phone and shown there too. However, with the release of the new beta version of WhatsApp which is 2.18.159, a new feature has been rolled out which comes with the Media Visibility option, meaning that users will now be able to choose whether or not they want the WhatsApp images on show up on their gallery. There is also a new contact shortcut feature for the Android version of the WhatsApp, which was previously exclusive to iPhone only. The new media visibility feature will allow the users to choose from the option, whether or not the photos would show up in their gallery app. For people concerned about privacy, this application can be a big upgrade since a lot of other messaging apps like Telegram were already coming with this functionality, now WhatsApp has followed the same and implemented the feature so users can now choose from the two options, to decide the visibility of their WhatsApp media. The visibility of the media is switched on by default when the users update their app to the latest beta version. They can go to Settings > Data and Storage usage, where they will find the ‘Show Media in gallery’ option which will be checked by default. Users can uncheck the box, or let it remain switched on as per their suitability. 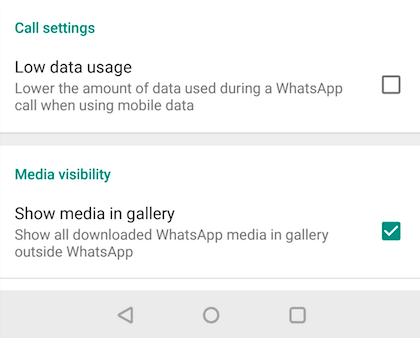 However, it should be noted that although the gallery won’t show the images of WhatsApp in itself, the images will remain easily accessible from any file manager app from the WhatsApp Images folder. Also, the new contact shortcut on this beta version is a feature which has been rolled out for iOS users previously. As reported by WABetaInfo, now on the bottom right side of the chat screen, on pressing the New Message button users will be able to find the contact shortcut option which they can use to add contacts from WhatsApp. Users who are excited to try the new feature and do not want to wait for the official rollout of the update can download the beta of the app from Google Play Beta program or in the form of APK via APKMirror.